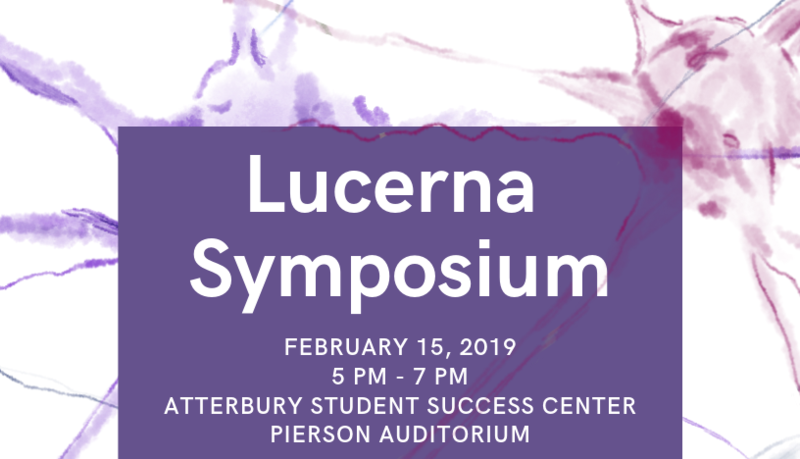 Join us for the 2019 Lucerna Undergraduate Research Symposium, which will feature presentations by student authors published in Volume Thirteen. Lucerna is UMKC’s only peer-reviewed, interdisciplinary journal of undergraduate research. Volume Thirteen of Lucerna publishes the work of UMKC students Hannah Doggett, Tyler Evans, Chase Ford, Sami Gul, Carolyn Kovar, Carolyn Nordengren, Emily Rackers, Mastin Tapp, Sarah F. Towakoli, and Whitney White. Honors College Dean James McKusick will offer welcoming remarks at 5 pm. Refreshments will be served.